this city is ever present. 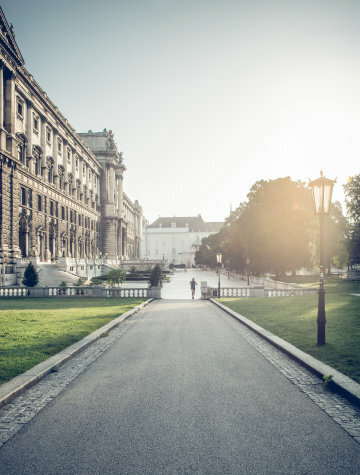 On the Ringstraße, near the "Grand Ferdinand". culture is always right before your eyes. glorious theatre­mania. And that's not even close to being all. 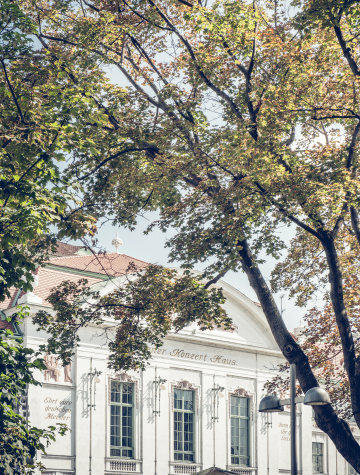 The mission of Vienna's Konzert­haus since 1913 has been "to be a place for cultivating fine music, a staging area for artistic endeavours, and to be a house for music and a house for Vienna". It has been said that the magni­ficence and acoustics of the Great Hall of the Musikverein are unmatched. 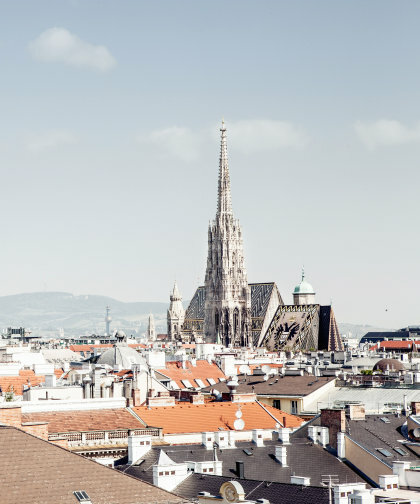 The Vienna Phil­harmonic's New Year's concert is broadcast every year to 92 countries from this place. 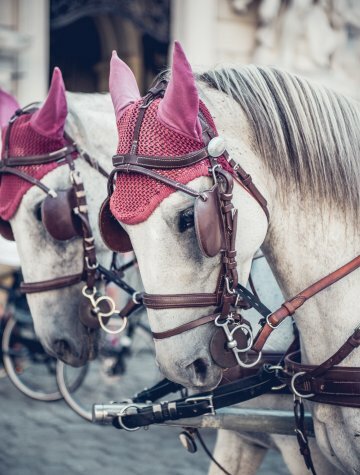 Classical riding in the Renais­sance tradition. 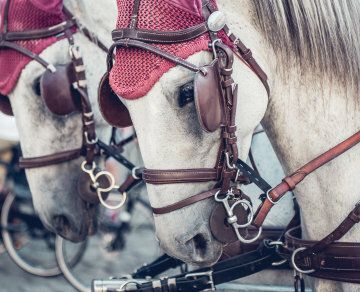 On horseback – white Lipizzaner stallions, to be exact – in a ballet perfor­mance as graceful as any. 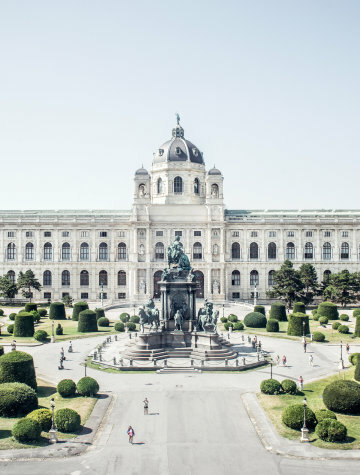 And in a setting no less splendid: the Michaeler­trakt of the Hofburg palace. The "Steffl" marks the centre of the city. 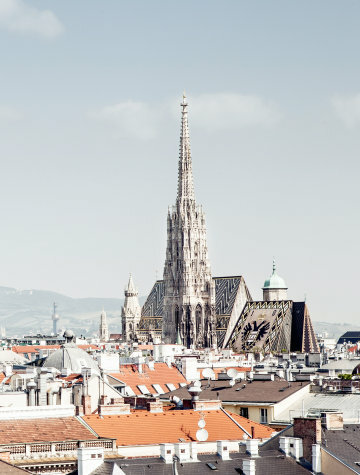 And its 137 metre south tower affords what might be the most impressive view of Vienna. You only need to climb 343 steps to see it. But it's worth it! A global empire was governed from this very spot. 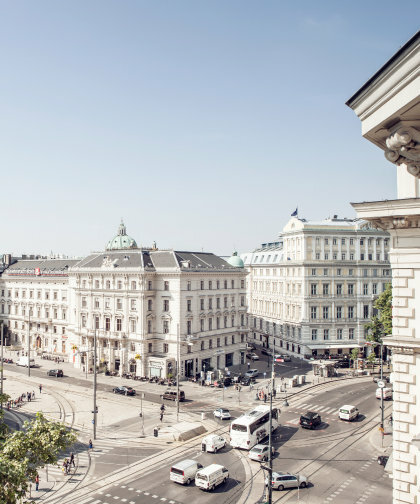 Today the collection of magnificent buildings is home to Austria's president. 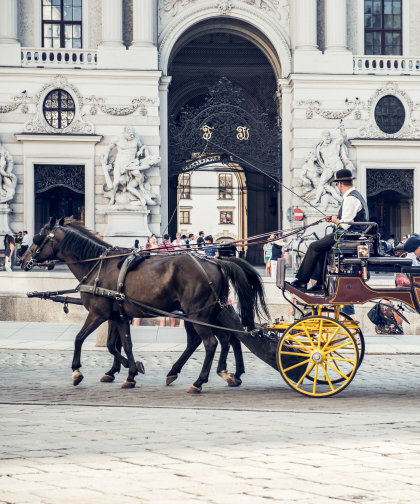 And to three must-sees for every visitor: the emperor's apartments, the Sisi Museum and the Spanish Riding School. 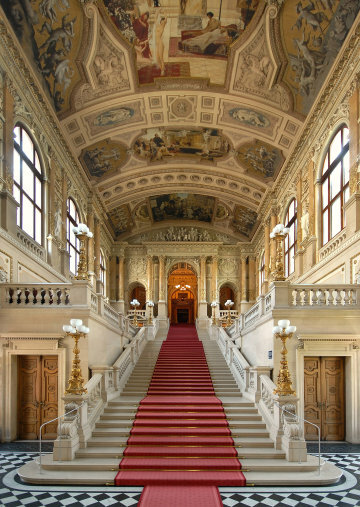 World-renowned for its annual opera ball, the most important happening in Viennese society. And of course as a top-tier opera stage, which has had the honour of welcoming the world's most important singers and conductors. 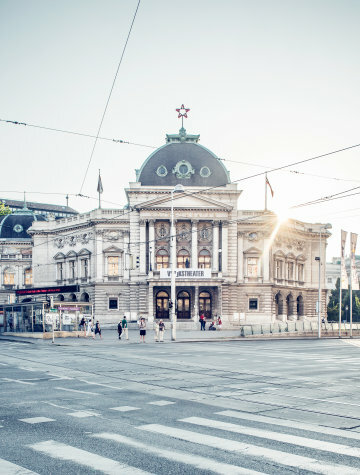 Lovingly called "die Burg" by the Viennese, the largest stage for German-language theatre is a never-ending source of triumph and debate. 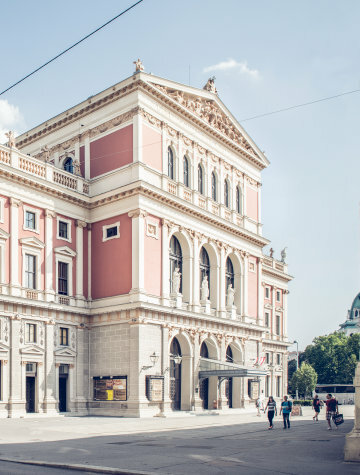 Founded as a citizens' counterpart to the imperial Hofburgtheater, now the Burgtheater, the Volkstheater has been a renowned playhouse since 1889. Well-regarded for its contemporary focus. Emperor Franz Joseph was not amused. 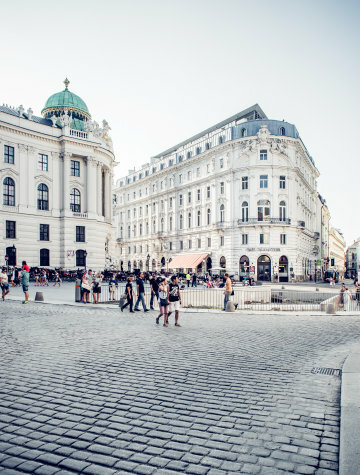 Offended, he refused to acknowledge what the architect Adolf Loos planted right in front of the Hofburg in 1911. A new building free of all embellishment. 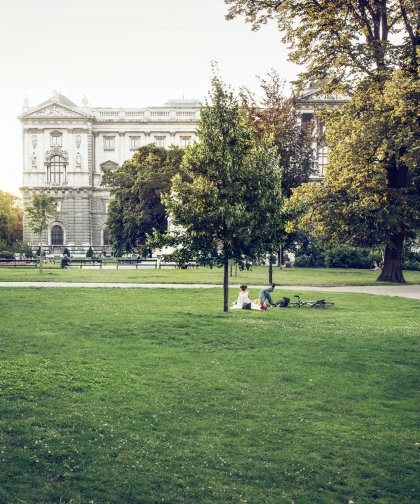 Known today as the Haus am Michaelerplatz. 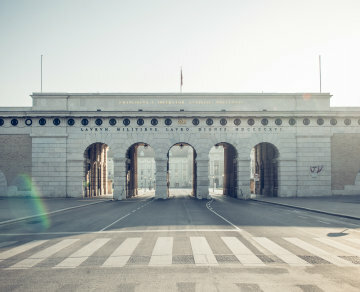 Two magnificent buildings, between Helden­platz and the Museums­quartier, since 1891. 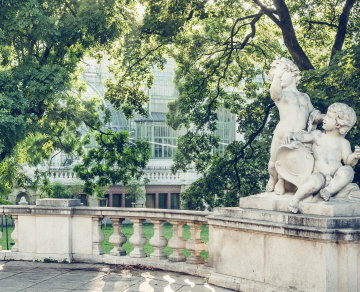 One is home to the old masters of art history. The other showcases natural exhibits from every continent and era. 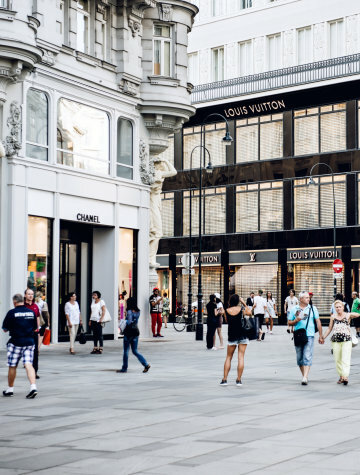 What was an unremarkable trench before 1800 became one of the most important promenades and most luxurious high streets of Vienna. And it, along with its side streets, remains so today.